When we look at what it means to begin to focus on CX, we realize this is a strategy investment. How fast is your website? How heavily are you investing in machine learning and automation of processes? Who are the faster and more agile competitors in your space and what are you doing to create change in your digital content to become more relevant? Are your apps becoming everything to the customers? This is where “Digital Transformation” comes into that strategy. Not only are you looking at ways to build a more efficient strategy with your data but your apps are becoming much more crucial to the success of your business. When you consider the investments into moving quickly and into automation, we know that security needs to keep up. Whether your applications or apps live on premise or in the cloud, it’s becoming more important to have cohesion in the security landscape across the layers of security defenses. This is where we are seeing the trends in the competitive landscape to have web protection and DDoS protection integrated together. If your strategy is agility and automation, being able to have a single pane of glass at multiple layers is key. Visibility becomes extremely important. When your apps move from data center to the cloud, being able to have the same policies across all apps is another driver for why we are seeing this shift in the trend. Web protection and WAF provide value in being able to automatically detect and block unknown web attacks. Some solutions are based on known vulnerabilities, and while being able to do virtual patching is key, the holy grail is a positive security model or “whitelisting”. Whitelisting can help make sure that the zero-day threats are blocked. When looking at new regulations like GDPR, having a WAF in place can help determine if site scraping for personal information is going on along with protections for data extraction and leaks. When web or application layer attacks are detected, this is where the integration becomes very important. Messaging between the layers to be able to block bad actors or botnets is critical to maintaining a high customer experience. As botnets begin the abuse of the application, whether it be brute force attacks, application scraping, or vulnerability exploit attempts, the messaging system will be able to send information across to the DDoS edge and block access at the data center or cloud. When you have a single pane of glass for visibility you can see the full picture of the defenses. This is crucial to making sure that the application or WAF isn’t being taxed heavily by the attacking botnet or attackers. Latency can become a killer to apps and the customer experience. I wrote earlier about how SEO rankings can be changed by latency and DDoS attacks. Because automation can accelerate the decision-making process, we are seeing this trend in security. 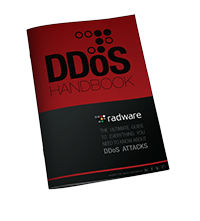 The old days of taking 15 minutes to get into DDoS mitigation mode are quickly going away. Business agility and customer experience demands faster response time. We know that competing against the giants is becoming tougher and tougher. Having the visibility across the multiple layers with the decisions automated are becoming critical to the success of CX initiatives. This is why we believe that the integration of WAF with DDoS is going to be a continuing trend in the next 1-3 years.